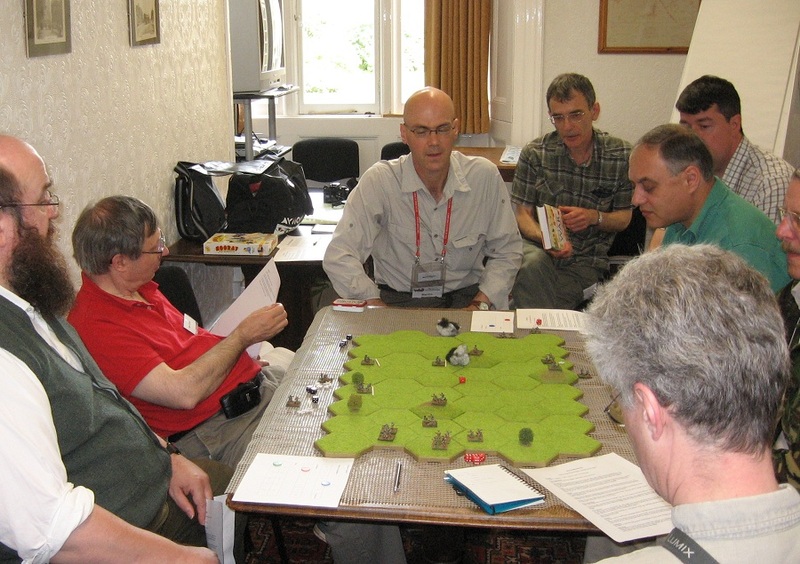 I did play in Martin Rapier’s session Fire and Movement, a game from Phil Sabin’s Simulating War. 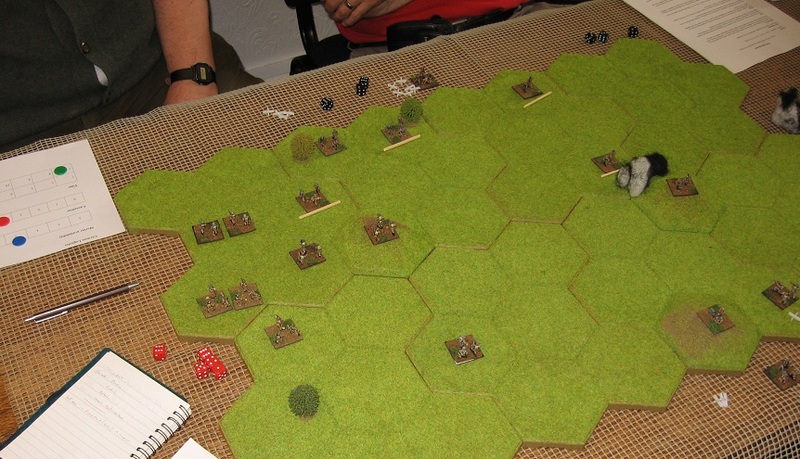 This is an area based game in which each base represents a platoon, and in which ammunition supply has an attritional effect not unlike being hit by enemy fire. 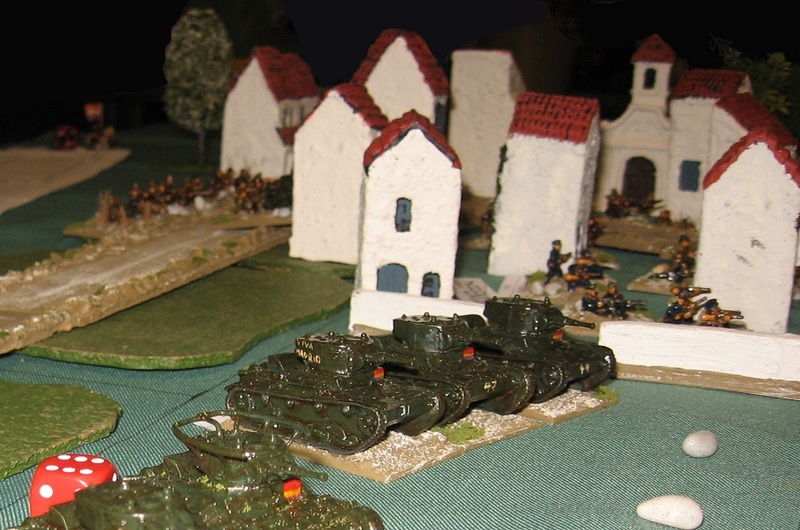 In that sense it is very British (spraying bullets everywhere isn’t the solution …)… The mechanisms are very smooth, and although the way attrition works is unusual, the outcomes have a plausible feel to them. Thanks for putting it on, Martin. A good session. 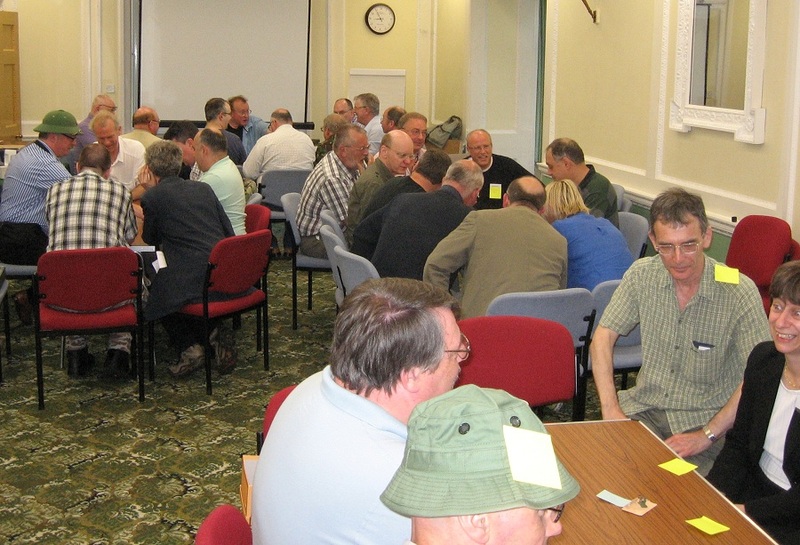 All the teams clustering around their section of ‘the wire’. 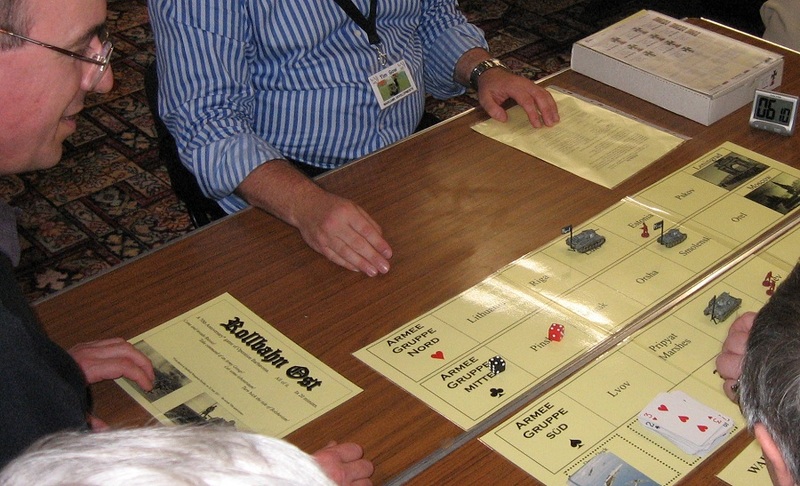 I also played in John Bassett’s Cold War multi media game … a bit of Committee work, a bit of role play … then some Blue Peter improvisation … plus some big plastic figures and some die rolls to make it feel like a wargame. In this Alistair MacLean adventure, we had to drop some agents on to an ice flow to investigate an abandoned Soviet monitoring station – though the first of many hurdles was our first drop going down the crevasse. Our fist drop was human cargo, needless to say. The weather turned suspiciously in tune with the session time elapsing, and (with me as air mission controller), we had to extract the team. We had one day to do it, and only six passes to sky hook them all up. It took an extra day as away team leader Trebian kept ducking when the hook came in (or that’s what it seemed like from my perspective). Fortuitously, the weather was deemed good enough to give us another day’s mission and we got the job done. Apparently this was based on a real event, and by the sound of it we didn’t do too badly (the real guys had quite an ordeal on the ice) … An interesting scenario.